It's a good bag and well made, yet a bit skinny and hood opening is too small. Bought the long model of the bag for a cross-country bicycling trip. It did that job well since it was summer and I never really needed to zip up all the way. It comes with a nice storage sack and a nice stuff sack. It packs down small and light and worked great in panniers. It is also a joy to have for backpacking due to its size and weight. It was nice to find something this small and light with still a respectable amount of durability. By the way this is a 2007 model. Things may have changed? It is too skinny for me and I end up being cold especially in the hips and sometimes shoulders. I am a 6'2" 190 lb male. This is obviously not a problem for much of the year when it is above 40° at night. But when it gets cooler I need to zip this bag up. I end up being very constricted to the point of not really being able to move or easily reach the zipper to let myself out. I understand it is a lightweight bag and they were trying to make it lighter by making it skinny but they went too far. The hood and the opening of it are crazy small. I worry about condensation in the bag since when zipped up fully the opening is so small that it covers my mouth a lot of the time and the bag is so skinny I can't maneuver enough to rearrange the opening. I am not at all claustrophobic in any situation but this bag got me there when it was fully zipped. My wife's North Face bag was the same 32 rating yet way roomier in the hood and opening even when fully zipped (this was the competitor that was the same price and everything). She could draw cord her hood to the size of mine if she wanted, but could also lay it almost flat. Not comfy at 32. No bags are really comfy at what they are rated though. Pay attention to the EN ratings! I am a pretty warm blooded person and use this bag on a classic Therm-a-Rest in a small 2-person tent with a second person, the fly closed, and a peak height of around 32. Mountain Hardwear does not have as good customer services as other outdoor companies and the lifetime warranties are harder to negotiate than other companies, in my experience. I would not recommend the bag. Mountain Hardwear makes better tents than sleeping bags and jackets. North Face has provided quality bags over the years and I am interested in Marmot as well as better options. Never tried an REI bag but would bet they are decent as well. By the way you gotta love the great long life of down bags and the superior heat! Down bags can last forever if you take care of them and wow are so much warmer especially after several years. However most new down bags seem to leak a lot more feathers than the older ones. Durability is not what it once was in the outdoor gear world. I think you can find a similar bag without the negatives of this one for the same price. Very great for its durability, packed size, and weight. Nice review, Albert. I'd love to see some pictures of your bag, if you have any to share in your review. 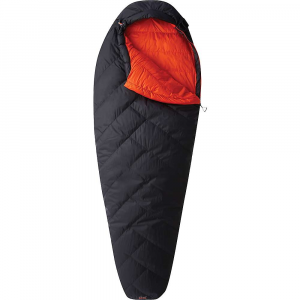 Rarely does a sleeping bag live up to its temperature rating. This one surpasses its rating. 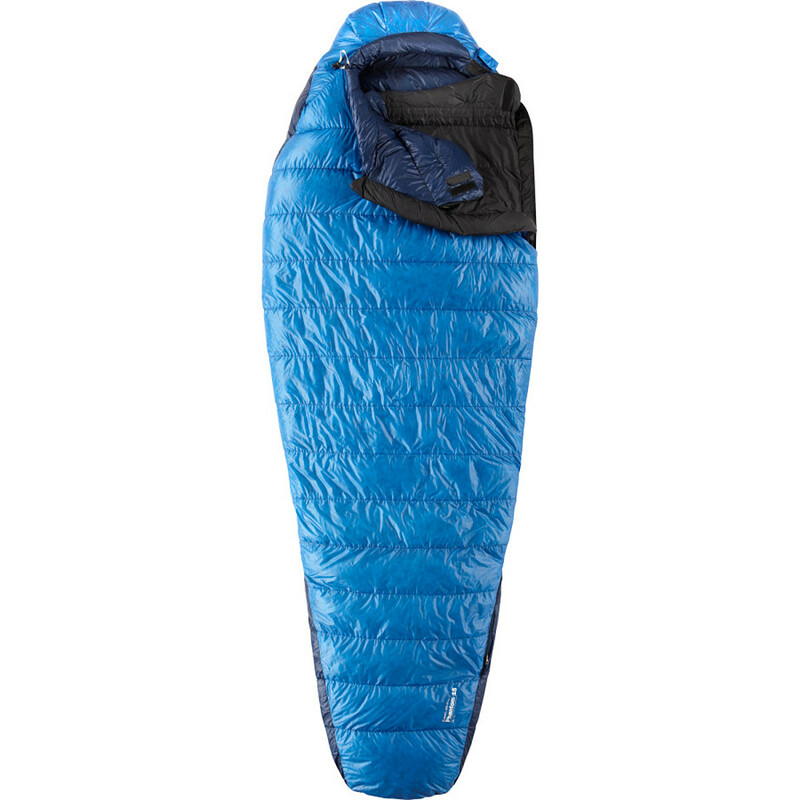 In my search to reduce weight but maintain comfort, I wanted a sleeping bag with a rating of around 30 degrees figuring I can use my extra clothing on nights that dip below 30 to keep me warmer. I also wanted this bag to be less than 1 1/2 pounds. This bag fits the bill perfectly. It is advertised as 1 pound 7 ounces and 32 degree temperature rating. It is filled with 800 down. I weighed this bag on my digital scale and it held true to the 1 pound 7 ounce weight. I was surprised. Then I used the bag and my surprise was even greater. This bag is roomy and comfortable. I had plenty of room in the bag for myself and on cold nights my water bottle, camera and gas canister. 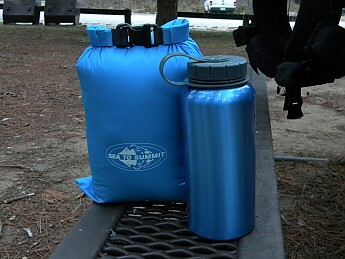 It packs down small without compression (I carry mine in a 4 liter dry sack). The best thing though was when I slept in the bag on nights below freezing. First, I will say I am a warm sleeper. I also like to sleep in nothing but boxers, although I bought this bag with intention of wearing clothes to aid its insulation ability. The first night I used it when I knew it would be below freezing I decided to try it in my boxers, and if I got cold, add clothing through the night. I was amazed to find this bag comfortable down to 27 degrees. I have used the bag on about 7 nights that were 27 and 28 degrees without having to add extra clothing. The only thing extra I used was a 4oz silk bag liner. I cant say enough good about the ability of this bag to keep me warm. One problem I have with the bag is it does lack a draft collar (this is how the weight is kept down). This causes you to use the hood and night cinched down tight to keep the insulated air inside the bag. For some reason, the I have found that the outer shell seems to get very wet with condensation from breathing when you use the hood (much more so than I have ever noticed on any other bag). The down however, has stayed dry even as the shell had drops of condensation rolling off of it. I have solved this problem by using a good knit hat and tucking the hood under my head. And, as with every lite weight gear, you have to treat it with care because the material is thin. All in all, I find that for my needs this bag is perfect. 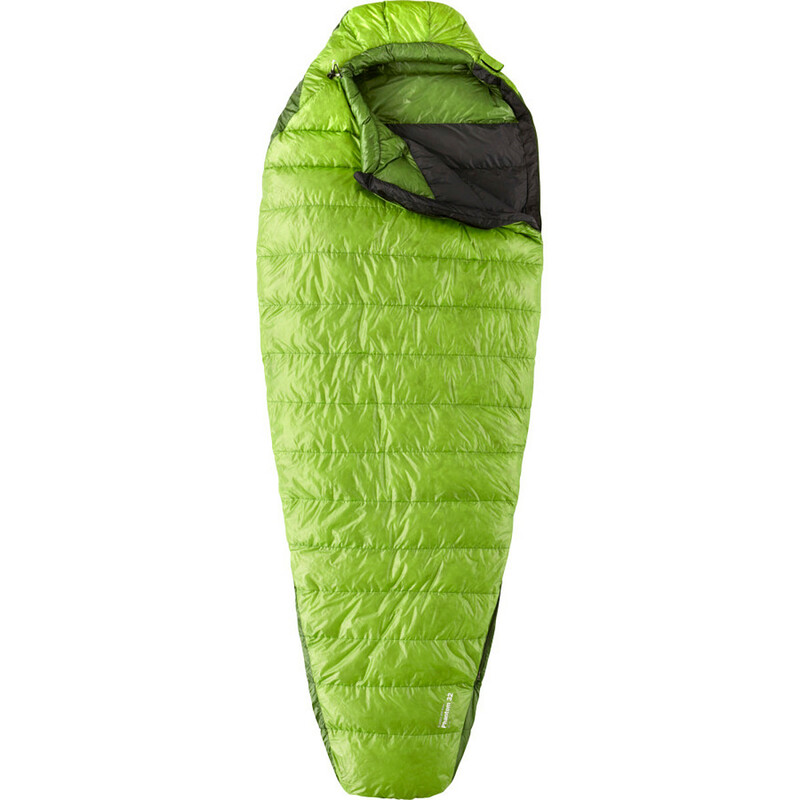 It is lite weight, warm and packs very small. Weight: 1lb 5oz advertised. 1lb 8oz used. Very light and very thought out bag. However, I do have several things to say about this bag. Unlike last year's model you cannot shift the down on the coldest nights leaving you wishing morning came as soon as possible. 32 degrees is very deceptive unless you are very big and warm sleeper. I was barely hanging in there at 3 consecutive 35 degrees using a Therm-a-rest ProLite 3 and I tend to have very high thermostat. This year (2006) Mountain Hardwear started using taffeta lining inside all the Phantom series which is heavier, absorbs dirt and sweat and doesn't feel as soft as the 15 denier nylon that they used both inside and outside the bag. If I had to pick the one piece of gear that is the absolute best purchase I have ever made it would be the Mountain Hardwear Phantom 32. I recently bought two, a men's model for me and a women's model for my girlfriend. I have used it several times now and each and every time it has blown my mind. The first time I used it was on a 50 degree night. I was extremely comfortable and I slept like a log but I was still worried about the temperature rating? I've seen lots of reviews about it being exaggerated and that it was more like a 40 degree bag. So how accurate is the temperature rating on this bag? Not very. I took this bag with me on a trip to the Sangre de Cristo Mountains recently and the nighttime low was supposed to maybe hit the mid 40's. Well the first night we got hit with a snowstorm and the temperature plummeted into the low 20's. But you know what? I didn't notice at all. This bag kept me and my girlfriend warm well into the low 20's, and she can't sleep when she is anything but boiling in her bag. All I was wearing was a very thin long sleeve shirt and boxers. That is it and I stayed plenty warm all night long. The fit of this bag is great as well. Normally I am the kind of person that feels compressed in a mummy bag. I have never found a mummy bag that I can actually sleep well in save the Phantom 32. This is an EXCELLENT bag and well worth every penny that I paid for it. I feel like I am sleeping in a cloud with this bag, a very warm and lofty cloud. No doubt I will continue to take this bag on many, many trips to come. Another great product from Mountain Hardwear. LOVE this bag! Love the compression-style stuff sack and packed weight and size. Have slept very comfortably in this bag through a lot of different conditions. Not sure about some of the complaints about lack of waterproofing or breathability and don't think there are too many 32 degree down bags providing that. This bag does its mission very well - packs small and light and keeps you warm down to freezing (although this bag has done well down into the 20's for me). A liner would take it down into the teens, I'm sure. Construction seems solid, but probably not as good as a WM bag. But then, I paid about $100 less for this bag on sale than a comparable WM bag and the trade-off is well worth it to me. Great bang for the buck, for sure. I have owned this bag for many years and have used it as my primary sleeping bag. I have taken it out from April to October using a silk liner and light to heavy underwear depending on the season. I agree that it packs small, it's light (1.8 lbs), that it is around 32 degree bag, and a nice snug fit. I have mixed feelings about the bag. There has been nights that I have been chilled but not cold. This will occur often on my trips, and yet I have kept using the bag? After this long and up and down relationship with the Phantom I am moving on to a warmer bag. If it were a twenty degree bag I would be a happy camper. I have purchased a Plasma 30 degree. The Plasma is everything the Phantom is not, it is WARM. See my Plasma review. This bag is definitely NOT a 32 F bag. 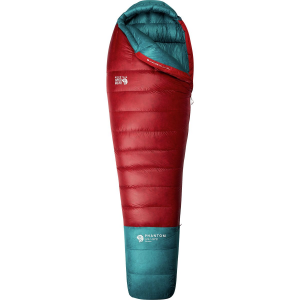 I returned it to REI after seeing the Western Mountaineering Magalite bag, which once kept me warm at 22F with only lightweight long johns for sleepwear. I like the small size and weight of this bag. It seems pretty well constructed for a superlight bag. 1. I wish it had a full length zip, but then I knew about this before I purchased the bag, so I suppose I can't really blame the bag for this. 2. The material is really not very breathable. I've woken up a few times in this bag a little sweaty, but I don't think it's because I was too hot, more that moisture doesn't seem able to escape from the bag very well. I've not had chance to test this bag near its temp rating yet, but will update when I have. Overall though, when you take a bag this light, a few compromises are worth it. Good product, very light weight, which is why I bought this bag, but underrated. I've used it on many Colorado mtn. nights and have been cold most of the time. I know it has not gotten much below freezing, but I have spent a few nights pretty cold in this bag. Wish I had bought the 15 degree bag for the Colorado summer nights!! I now have a bag liner that I will try this summer. Hope I am warm with that. Other than the temperature rating, I am very happy with the bag. This bag is so cool! It keep me so warm with its 800 fill down and it is also very, very, very light. It has a water-repelent finsh that works very well. But this bag is not waterproof. I strongly suggest to buy this bag because it is made by the best company in the world and it is the best bag you can find for the price. $245 is not cheap but, it is well worth the price. You won't be disappointed. I would deffinitely buy a dry sack or a waterproof bag because when down is wet it's a nightmare. I thought it was so nice and light and small, and that is sure nice in the pack. I think it is quite good quality. My main complaint is that the "window" of useful temperatures for this bag is quite small. I find it does not breathe at all, so most times in this bag I end up waking up wet with sweat (not very good with a down bag!! ), and then at anything under about 20 deg F it is not warm enough. If this bag breathed it would be 5 stars. Awesome bag--actually did well below freezing. I've slept about 10 days in this bag--going below freezing the first night out (guarded it will be warmest the first time you sleep in it). Not five stars because I find it doesn't breathe or rather let any perspiration out. I cannot beleive how small and light this sleeping bag is. It is the size of a football compressed and only about 1.5 pounds in weight. I have used it only once so far on a three day/two night backpacking trip in central Louisiana in late spring (+-50 degree nights), but I love it. At 6'-1" 200 pounds, it is plenty long and just enough room at the shoulders. 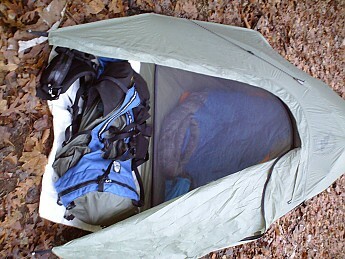 I got a great deal on ebay, and at the time, I was looking to lighten the load with a good summer weight sleeping bag. The Mountain Hardwear Phantom 32° is not available from the stores we monitor. It was last seen January 9, 2018	at Backcountry.com.